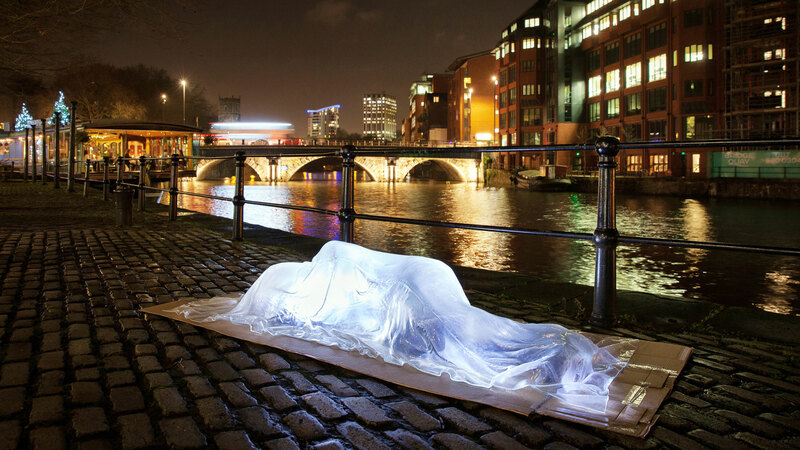 Luke Jerram's multidisciplinary arts practice involves the creation of sculptures, installations and live artworks. Living in the UK, but working internationally, Jerram creates art projects which excite and inspire people around the world. Luke has a range of artworks being presented concurrently around the globe and a highly effective and experienced arts project coordinator is being sought. As well as some general PA, finance and administration responsibilities, this role will include responsibility for coordinating a number of different projects; public realm commissions; exhibitions; artwork, book and print sales; as well as supporting the Touring Manager with Museum of the Moon and Gaia, among others. This is a fixed term maternity cover contract for 9 -12 months with possibility of extension. As a key member of a small busy team, the candidate is expected to hit the ground running after a short handover period. Download the job spec for more information and how to apply. 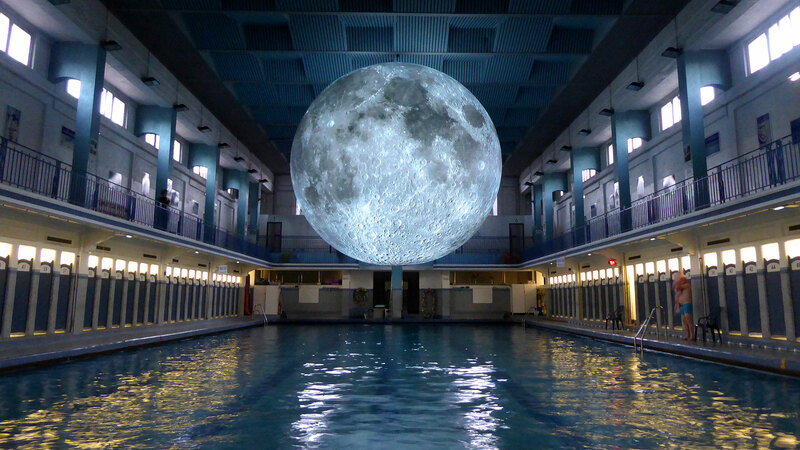 Museum of the Moon is a touring artwork by Luke Jerram that is being presented at a number of arts and cultural festivals over the coming years. 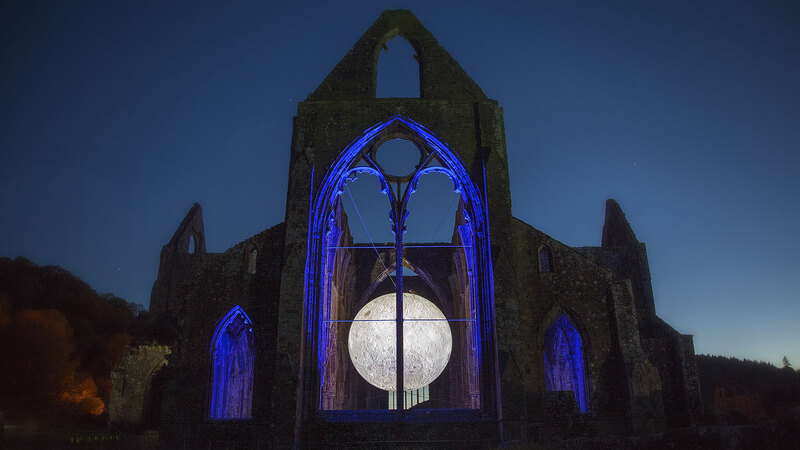 The installation is a fusion of lunar imagery, moonlight and surround sound composition. The artwork has recently been presented at the Commonwealth Games in Australia, toured five cities of India with the British Council and been presented in Aarhus, Denmark for the European Capital of Culture. Listen to this 30 minute BBC Radio4 programme about the artwork. 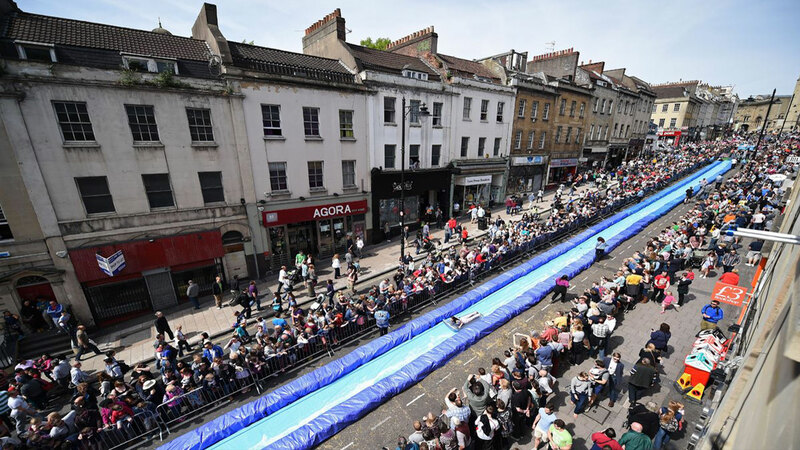 Radio programme first broadcast in January 2019, presented and written by Luke Jerram, touring interesting walls of his home town in Bristol. Directed by Julian May. Over the years Jerram has done hundreds of interviews about his artwork on both radio and television. See press area. Only recently has he started informally presenting programmes in this way. 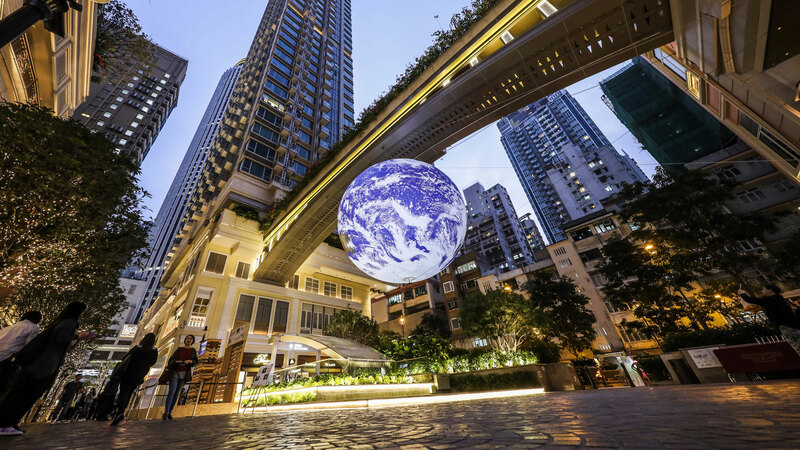 After its presentation at the Natural History Museum in London in December, Gaia is currently on display in Hong Kong. 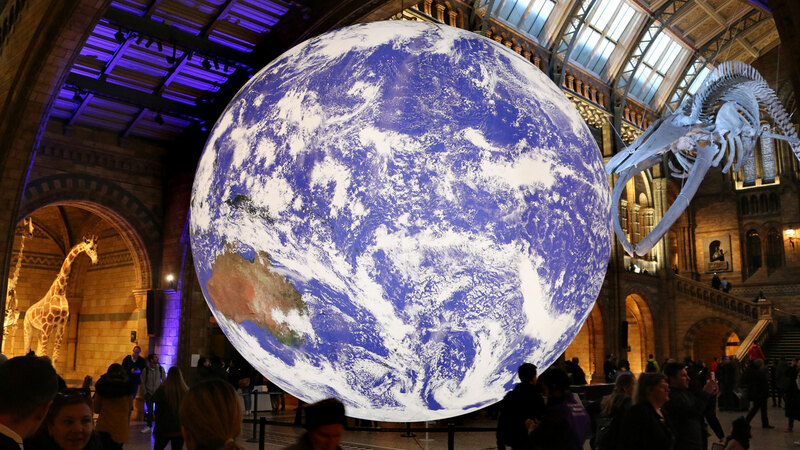 This new touring artwork provides the opportunity to see our planet, floating in three-dimensions and aims to create a sense of the Overview Effect, which was first described by author Frank White in 1987. The sculpture is presented with a specially made surround sound composition by BAFTA award winning Composer Dan Jones. Created for Hangang Art Park, Seoul, the Han River Pavilion opened on 27th August 2018. 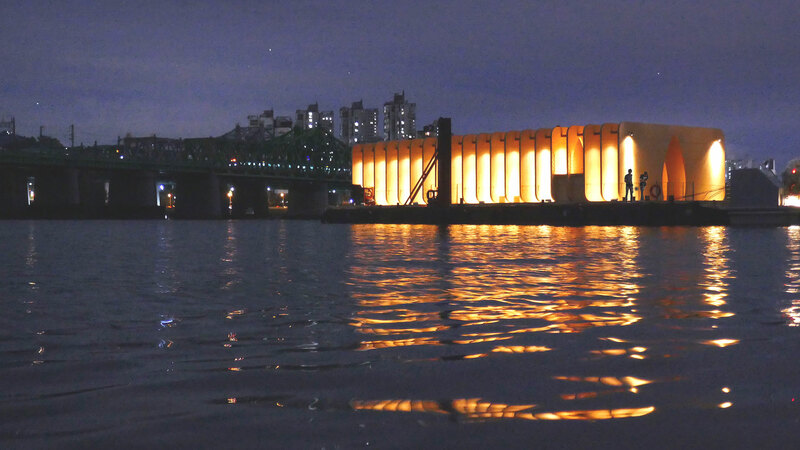 From its conception back in late 2017, the Han River Pavilion was designed to be both a location for contemplation and wonder, as well as a space for events. Accessed from a walkway connected to the riverbank, the public are able to explore the structure both during the day and at night. A venue for concerts, film evenings, lectures and community led events. A space for contemplation, participation and activation. Suspended from the ceiling of the £6.3m extension at St George’s, the new Apollo artwork is named after the Greek god of music. 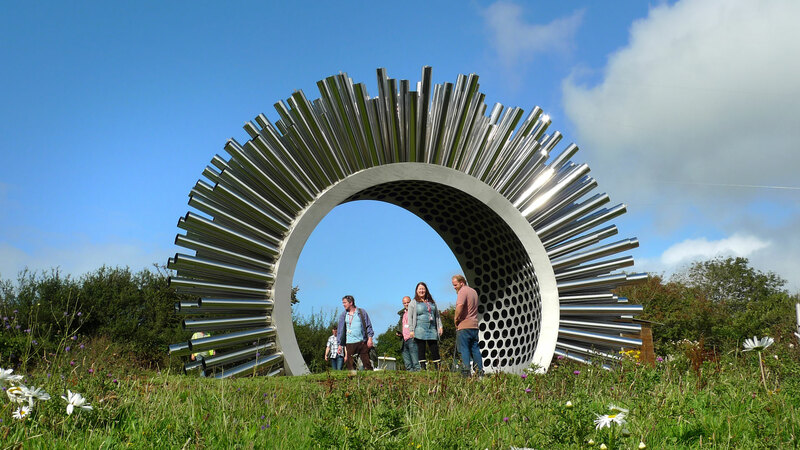 The sculpture’s design was inspired by a sound wave taken from 2nd Etude, composed by Philip Glass and performed by him at St George’s in 2013. Not just a beautiful addition to the new cafe, bar and performance area, Apollo also helped raise £600,000 towards the total fundraising target for the extension, with each hand-blown glass section sponsored by individuals and corporate donors. A two minute showreel of projects narrated by the artist. Luke Jerram has installed Tribute, an artwork commissioned by the Royal Liverpool and Broadgreen University Hospitals’ Organ Donation Committee and Royal Liverpool Dialysis Utilities Fund. The artwork celebrates, remembers and gives thanks to the generosity of organ and tissue donors and their families. On display in the main reception area of the new Royal Liverpool University Hospital, Tribute is due to be unveiled when the new hospital opens. Made to contemplate the global impact of the disease, the Glass Microbiology sculptures were created as an alternative representation to the artificially coloured imagery of viruses received through the media. 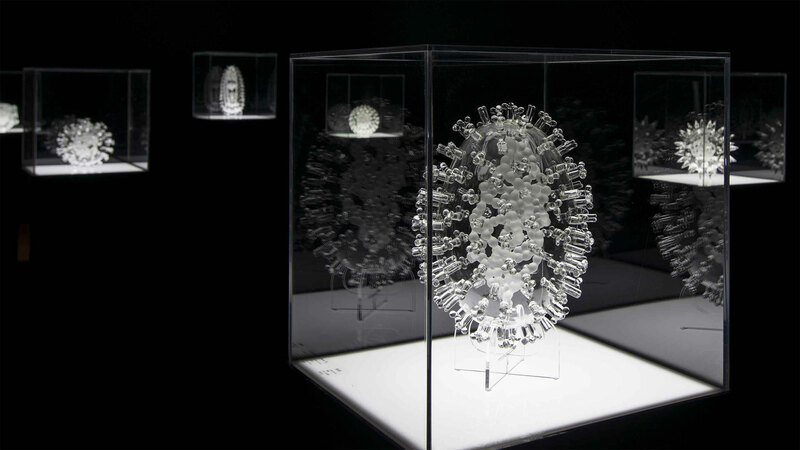 Luke Jerram’s Glass Microbiology sculptures are in private collections around the world. Museum collections include The Metropolitan Museum NYC, The Corning Museum, The Wellcome Collection, London. Find out more about Glass Microbiology here. 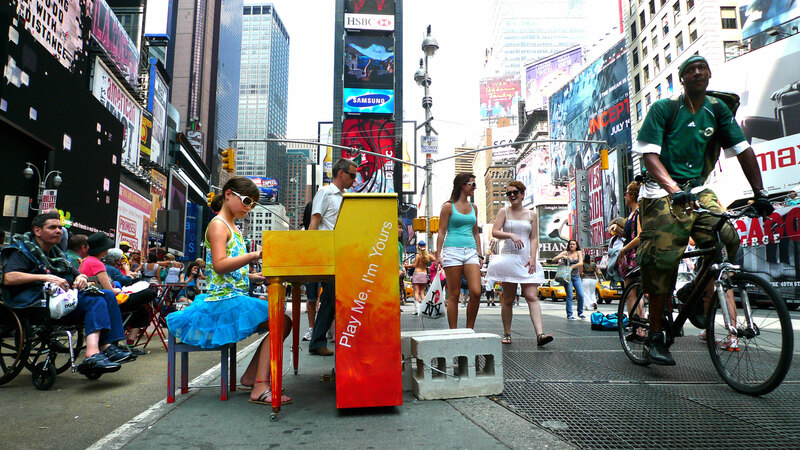 Play Me, I’m Yours is an installation of street pianos which are located in cities across the world. The pianos are available for any member of the public to play and enjoy. By creating a place of exchange Play Me, I’m Yours invites the public to engage with, activate and take ownership of their urban environment. Reaching millions of people worldwide, more than 1,900 street pianos have been installed in over 60 cities across the globe, from London to New York, bearing the simple instruction to ‘Play Me, I’m Yours’. The pianos will be live in Shanghai, China from 18 April – 2 June 2019. For more information see the Play Me, I’m Yours website. This brilliant 25 minute documentary describes Luke Jerram’s arts practice and interviews some of his recent collaborators. Filmed by Northern Town Media, Brilliant Ideas looks at the most exciting and acclaimed artists at work in the world today. Artists in the series include Grayson Perry, Cornelia Parker and Anish Kapoor.